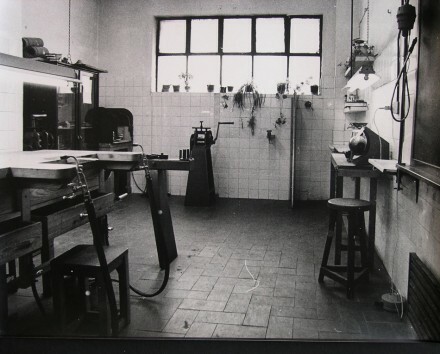 In 1986 I joined the Llotja School to teach jewelry design to students specializing in enamel. However, the specialty jewelry design teaching position was still awaiting a grant. Being a teacher of technique, I was responsible for organizing the workshops and the curriculum of the course. I requested assistance from the jewelry teacher at the Art School in Tarragona, Mr. Thomas Palos. He has extensive experience as a teacher and a well deserved reputation. To this day, I am favored with his friendship and support. Things haven´t always been easy. Starting from ground zero we wanted to create a competitive department, the goal being educating students to renewed ideas. The jewelry making we taught at the school entailed two principals: the transmission of the craft, design and technology with the transformation of a concept related to the ornamentation, which with diligence evolved. During the last three years, the jewelry department has been located in a new head office with a well equiped workshop. It does not have an established team yet, most teachers practice specialties and undertake projects and technologies with great enthusiasm. The craft Artistic Jewelry is part of a new project that promotes the relationship between the center´s craft and the exchange with schools from abroad.